Our marina on East Harbor provides free transient dockage to guests and seasonal dockage rental for guests wanting to moor their boats for the entire season. Our dockage can accommodate boats up to 30' in length for secure mooring, electricity and water is available. 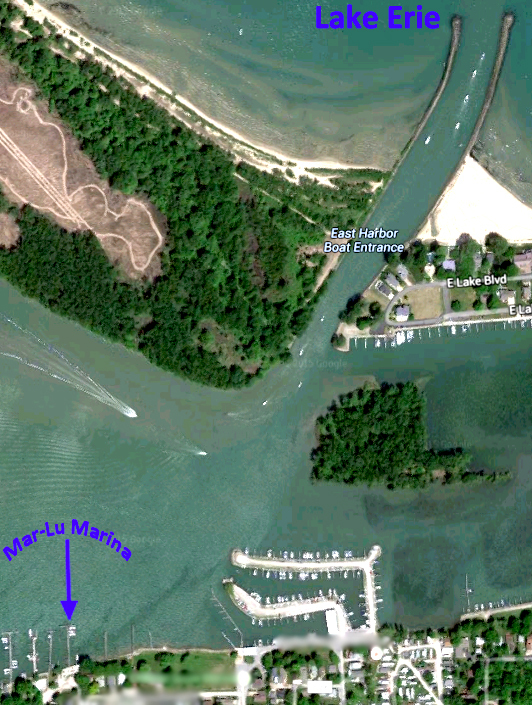 A wide concrete boat ramp is easily accessible and is free to all our guests. 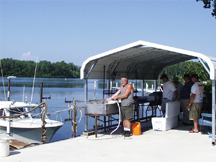 Our fuel dock is easily accessible for boats of any size. 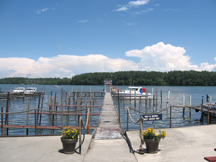 Ohio fishing licenses and ice available right on site at the resort office; covered fish cleaning facilities; patio and pool as well as the "brag board" for taking memorable photos of your catch are right at the waterfront. Boaters appreciate the short and direct ride from our marina to the East Harbor Channel leading to Lake Erie and the heart of the island area. East Harbor is also the closest mainland point of departure to the islands and the Canadian border. 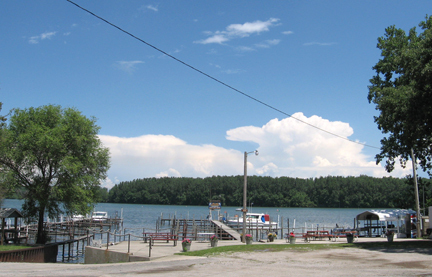 Our convenient location provides resort guests with fast access to Lake Erie fishing, boating, tubing and skiing along with popular boaters destinations and attractions.